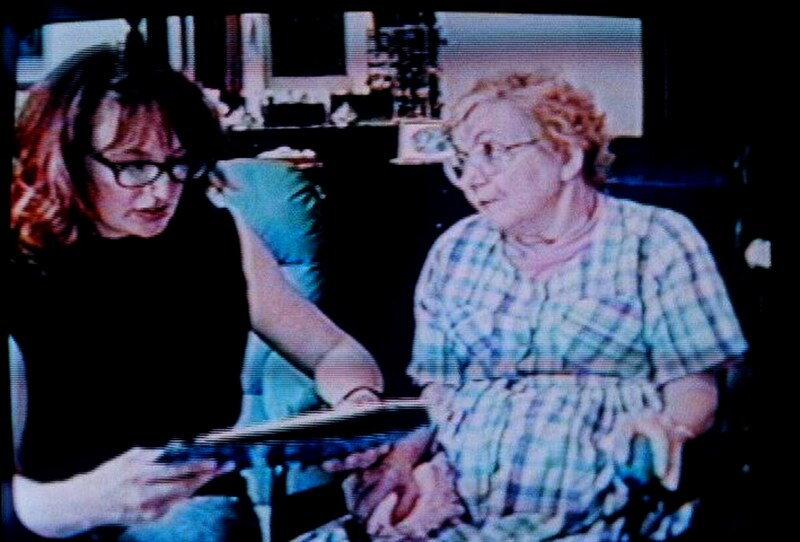 Above photo: Cook is interviewing her Mother, Lila, who was in the late stages of Parkinson's Disease. They are communicating with a letter chart and discussing her life with the disease. Lila could no longer speak but could make sounds.